Last night Cassava SmartTech shifted the pricing structure for their Vaya Lift application. When they came on to the scene many of us were pleasantly surprised by the fact that they were the most affordable option in the market. It’s not usually the case that Econet’s products are known for being cheaper than the competition. Thank you for your patience and continued support as we endeavour to improve Vaya. Please find below the adjusted partner commissions per km for Vaya services. The commissions above are after taxes and platform fees. These are already on the platform and are in effect as of 5 am today. Let us go out there and continue to give memorable Vaya experiences. Hwindi is now clearly the cheaper option and this is a win for the competition that has been trading blows with Vaya on and off the roads. Hwindi became much more popular shortly after Vaya’s launch when they kinda (but not explicitly) stated that Vaya Lift had copied their platform. 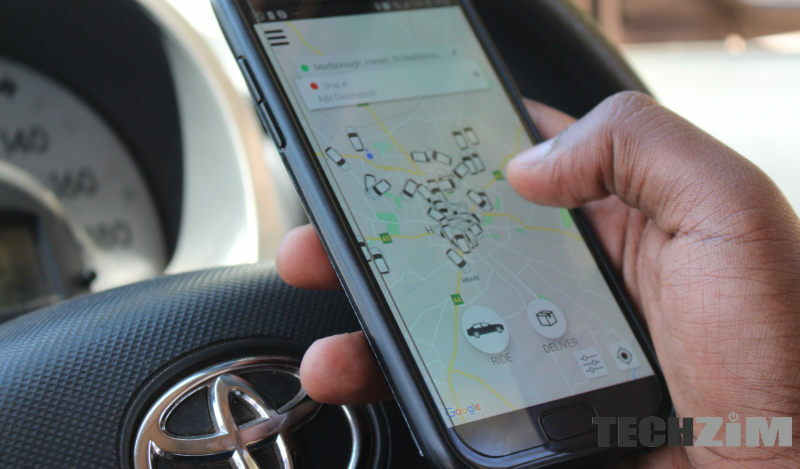 Hwindi now has a competitive advantage and it will be interesting to see how things play out in the ride-hailing space. What’s behind the price increase? Well, over the past few weeks there has been a lower than usual number of cars when you open the Vaya application. Ordering was more difficult and sometimes drivers were cancelling drives which didn’t make economic sense. Initially, the assumption was that the fuel crisis was the biggest reason behind this. Apparently, another issue was that drivers were becoming disgruntled because they were not making enough and this is what led to the change. We tried to reach out to Cassava SmartTech for comment but they are yet to respond and confirm if the pricing has indeed changed and what the reason for this shift is. Im sure with prices of vehicle spares & general cost of living up it was bound to change. Hwindi was already significantly costlier than Vaya. The advantage of Vaya is much higher than just cost of ride. Driver & rider security is better due to Econets Satellite tracking installed on all Vaya vehicles, police security clearance for all drivers, all Vaya vehicles covered by comprehensive insurance, thorough vehicle inspection for all Vaya cars. Last time I checked HWINDI also had all these and their biggest avantage is that the vehicle inspection and driver inpection in continously being done everyday at HWINDI offices as they have 100% control of the drivers and vehicles. You need to RIDE the 2 and compare. Its not the same at all! Given how many times TZ talks about this Vaya thing (havent tried it, doubt i ever will even though i dont have a car) it brings to question, does Vaya pay TZ’s bills? Although we have been accused of this a number of times I must state unequivocally that no we do not receive any payment from Vaya. Take this article for example could actually be viewed as a negative against Vaya. At Techzim we strive to report facts as we have done for close to a decade. When we do receive payment we take care to label the said article as a sponsored post. Even then we only allow through the things we believe in. You will not believe the number of sponsored articles we have to turn down because we do not believe the content in this articles. Ultimately its a matter of traction I think. The other day I opened up G-Taxi and saw 3 measly cars 15 km from where I was. None of the ever came for me. Because I don’t understand how G-Taxi works so I ignored this. If Vaya was paying me for example I might have written a negative story about Vaya comparing the number of cars available at various given times and use this as a promotional opportunity for Vaya. Vaya is a Cassava Smartech product which means they have a lot of pull and whatever they are doing seems to be affecting a lot of people. Think of Vaya as Google and Hwindi et al as Bing. Can you honestly blame people for turning Google into a verb?! I think Hwindi is Google and VAYA is Bing – Go onto their social media pages and go though the comments. No, but you should be impartial because you are journos. If Vaya hadn’t started, you would not be talking much about e-taxis. But along comes Vaya and you can’t stop. But we had Hwindi and them long back. Why didn’t you do a round-up of ride hailing services then? Why didnt you talk about ride hailing services as often? Or talk about Hwindi being the cheapest? What you have done is you’ve already given Vaya who had an advantage a bigger Advantage. You are giving it a seal of approval just by talking about it so often. Now, when i’m a foreign national and search for E-taxis, Vaya will be more prominent hence giving the false sense of it being the leading service. Hwindi suffers for not having the backing of a tech giant but their service is just as good; they have more experience and like you say, are cheaper. As the leading Tech reporter in Zimbabwe, these should be one of the top trends you monitor in the tech community. And also, a traditional taxi is still cheaper than these things. Not e-taxi you say? Well, all I have to do is ring up my taxi guy and i have a ride. Plus i can negotiate the price with him; we have a personal connection and he’s become a friend. Those are the things you should analyze and how does Vaya or Hwindi plan to give me all that? Its not just about the ride. PS – I do not work for or know anyone at Hwindi. Point of correction @ van lee chigwada. Techzim guys are not journalists as you allude to. They are bloggers. Journalism has ethics (though they are sometimes disregarded) and bloggers have absolutely none. They write what they are passionate about, in other words what excites them regardless of popular opinion. As tech bloggers they are passionate about tech. In Zim Econet = Tech. Need I say more?? ?